Crossing Mind is a French self-man artist Stéphane Bèze. He lives in the french riviera, Nice and was born at the end of 1973. He learned music on piano and some arranger-synthesizer when he was 14-16 years old. 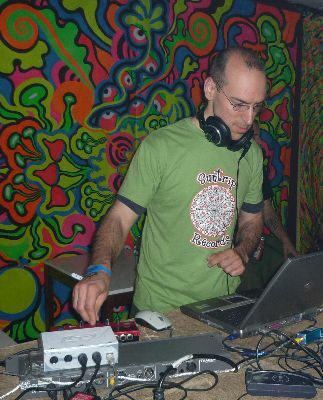 After a long break, he discovered electronic music in 1994 (Goa, Trance, ambient) and 4 years later, decided to make his own psychedelic music. Between 1998 and 2003, a lot of tracks were produced and put on the deceased web site mp3.com. After that, he decided to stop any music production...Until some fans who were looking for him pushed him to make music again.